PectaSol® has been shown to support healthy prostate function and strengthen the immune system. 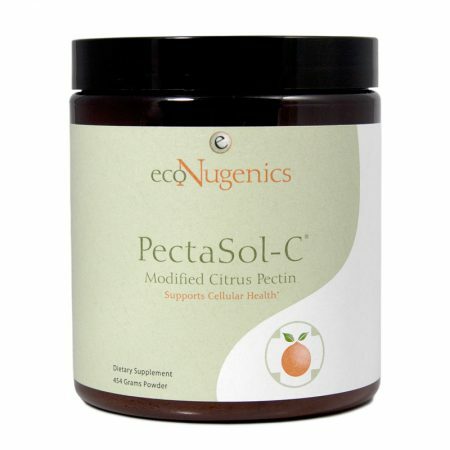 PectaSol® is the only form of Modified Citrus Pectin that has been validated by human clinical trials. 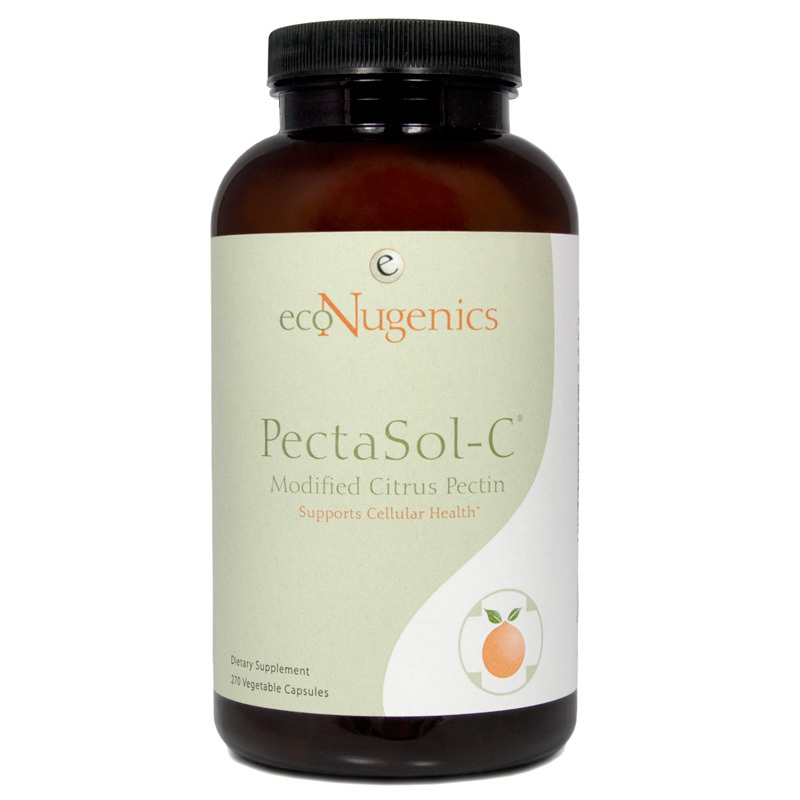 PectaSol® Modified Citrus Pectin (MCP) is designed to enhance immune function and maintain optimal health. * PectaSol® MCP has been clinically demonstrated to slow PSA doubling time in prostate cells. * It is known to promote normal cell growth by interfering with the binding properties of galectin proteins by preventing them from adhering to each other and the inner wall of blood vessels. * PectaSol® MCP is a complex polysaccharide (long-chain carbohydrate) obtained from the peel and pulp of citrus fruits and valued for its galactosyl component. It is modified to produce a shorter chain, low esterification pectin molecule which is more easily absorbed into the bloodstream. All the research on modified citrus pectin specifies a molecular weight of 10,000 to 20,000 daltons. PectaSol® meets this specification. The unique galactosyl component of PectaSol® MCP has an affinity for the binding galectin-3 sites, limiting the binding of certain cells to each other or blood vessels. 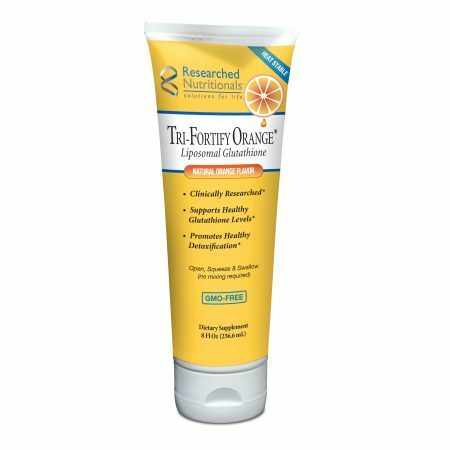 *Citrus pectin is also recognized for its ability to promote cardiovascular health*. More recent research indicates that Modified Citrus Pectin may also play an important role as a safe and effective heavy metal chelator. Isaac Eliaz, M.D., Medical Director of Amitabha Medical Clinic in Sebastopol, CA conducted a pilot human clinical trial to determine if MCP is able to reduce the total body burden of mercury. The results demonstrated the MCP is capable of significantly decreasing the total body mercury burden in individuals after approximately four months. Their was a 69% mean average decrease in mercury burden, with the range of individual decreases being 38% to 75%. No significant side effects were noted. A possible mechanism of action may be that MCP exerts its heavy metal detoxification through gradient changes between the tissue and the blood stream. Suggested Use: As a dietary supplement, take six capsules three times per day, with or without food. Maintenance Dose is six capsules once per day. For children 2 years of age or older, the daily dose is 4 – 6 capsules per day (which may be taken in divided doses). 1. Does a person with a citrus allergy need to be concerned with PectaSol®? According to the manufacturer, there is not citrus in the pectin so it should not be a problem. The pectin is derived from the white around the orange that is between the fruit and the peel.